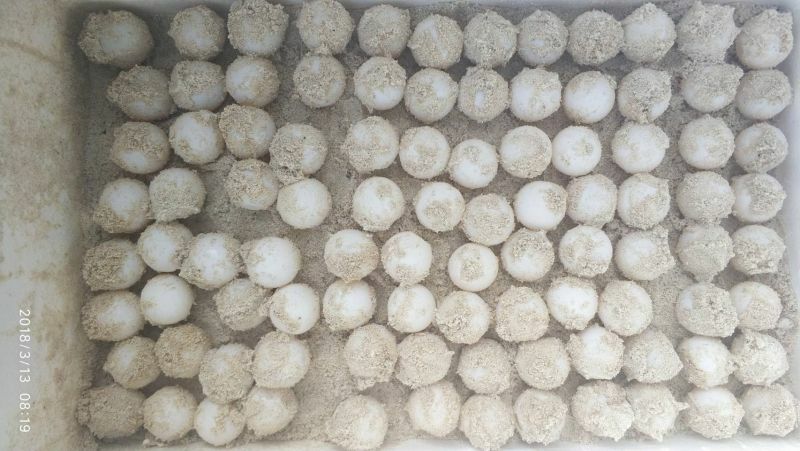 PHUKET: Similan National Park officials at Koh Si Island in Phang Nga yesterday morning (Mar 15) found 129 sea turtle eggs along a beach pathway to the island’s Nui beach, reported Similan National Park Chief Ruamsilp Manajongprasert. 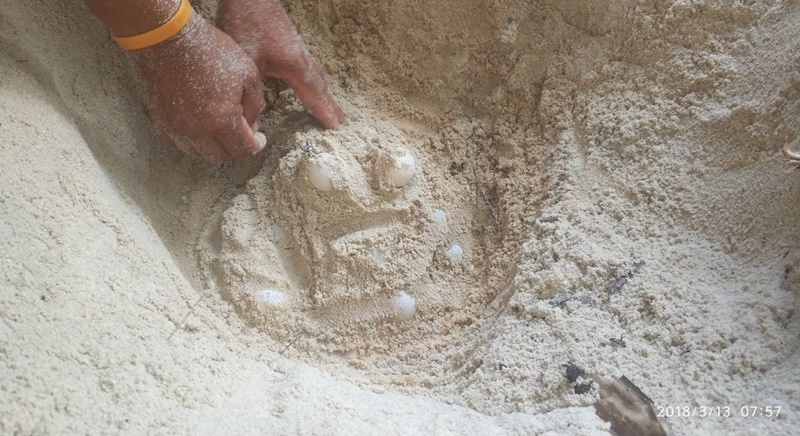 “At 7:30am today (Mar 15), Similan National Park officials found 129 sea turtle eggs had been laid along a path to Nui Beach, near where a tired sea turtle was spotted on Mar 12,” Mr Ruamsilp reported. “It is not known what species of sea turtle the eggs belong to, however, it is believed to be a different turtle to that sighted on Monday as the trails near the eggs are smaller in size. “The staff moved the 129 eggs as the spot where the eggs were found were on a footpath to the beach,” he said. “This is the third turtle this year that has spawned on Koh Si, and the second turtle to spawn at Nui Beach. The turtle eggs will take about 60 days to hatch, then the staff will send all the turtles to the Phang Nga Naval Base,” he added. “They are ready and specialised in looking after turtles. At around eight months, they will release turtles into the sea,” said Mr Ruamsilp. Unfortunately, only 1%, or less, of hatched sea turtles survive to reproduce. From environmental conditions to predators. That's why so many  eggs need to be produced.